On March 6th, 1946, Montres Tudor SA was founded by Hans Wilsdorf as a subsidiary of Rolex in Geneva. Hans Wilsdorf also founded Rolex SA. One year after Tudor's foundation Hans Wilsdorf presented the first watch, the Tudor Oyster. Over the years, Tudor has presented several models, like the Tudor Oyster Prince, the Tudor Oyster Prince Submariner, the Tudor Advisor and the Tudor Oyster Date Chronograph, also known as the Monte Carlo. 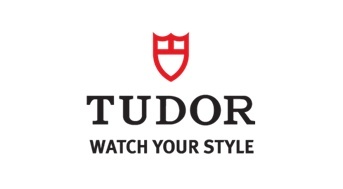 Tudor was re-launched internationally in 2007. Since then, several new models were presented such as the Tudor Heritage Chrono, the Tudor Heritage Advisor, Tudor Heritage Ranger and the Tudor Heritage Black Bay, all with a nod to the past. Tudor also launched completely new watches like the Tudor FastRider Chronograph, the Tudor Grand Tour series, the Tudor Pelagos Diver series, Tudor Glamour Date, the Tudor FastRider Black Shield and the Tudor North Flag. All these models are still present in the range of Tudor. Today Tudor also developed its own manufacture timepieces. The Tudor North Flag and Tudor Pelagos are already equipped with this completely self-manufactured timepieces.